Are you finally ready to release the pain of fatherlessness in your life? Are you ready to stop allowing the patterns of beliefs and behaviors to hinder your relationship with love and your relationship with money? Then make 2019 the year that you decide to Grow up. Wake up. and Get up. While many of us struggle with the pain of growing up with an unattached, unavailable, absent father or simply a flawed father-daughter relationship, at some point we’ve got to stop wearing our pain like a badge of honor and having our pity parties. Because the truth is…we are not victims. We are victorious. Whether your father was there for you or not…you still have to love yourself enough to finally choose YOU. You must begin to heal and move your life forward. I know it’s not easy…but it is simple. It was a path that I had to take. I loved myself enough to take the journey of love, acceptance and forgiveness. You too, can redefine who you are beyond your fatherlessness, reclaim your value/worth by actualizing the power of self love and rewrite a new narrative for your life by creating a vision for your future. You see we can no longer carry the burden of wasted potential. Because we have big issues in this world and within each of us are the answers to many of these problems. 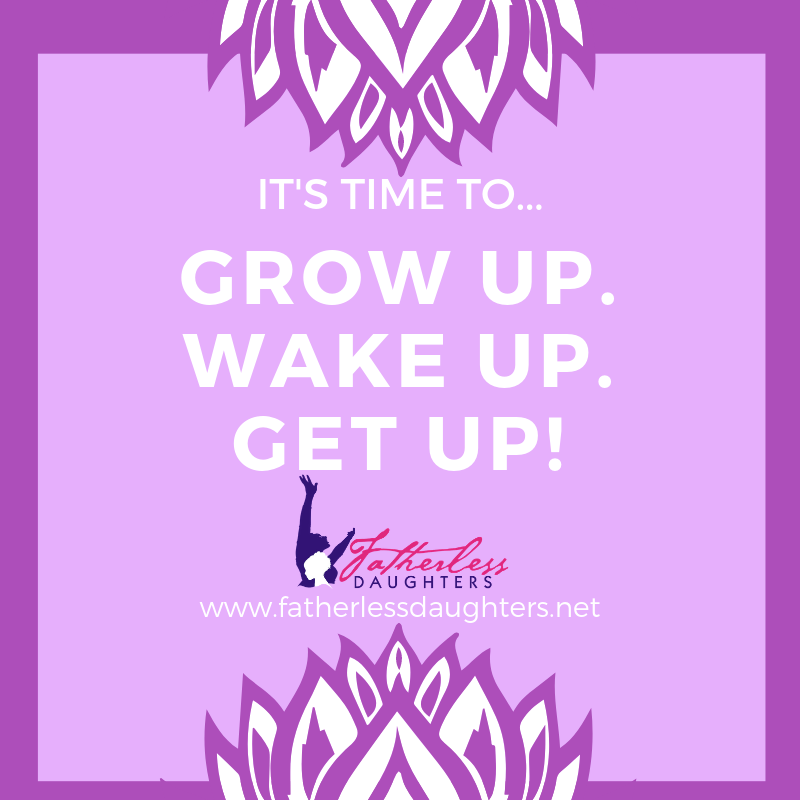 I created The Fatherless Daughters Network and our online community as sacred space for fatherless women to share, connect and grow. We share because we know it’s safe there. We connect with others who understand our struggles because we can offer support, inspiration and encouragement to each other. We grow because it’s the only way we can live a full and vibrant life. The Fatherless Daughters Network has advocates around the world who are willing and ready to help and offer you hope and healing beyond fatherlessness. These amazing women are trained and certified to speak directly to your pain and what has you stuck. Then they will provide the help you need to move beyond your fatherlessness onto a life of infinite possibilities. But you must first choose this journey for yourself. You get to decide if you want freedom from this pain or if you simply want to remain angry, hurt and the victim. But who does any of that serve? No one…especially not you. Make 2019 your year of awakening and take the journey to love, acceptance and forgiveness. It’s time to grow up, wake up and get up in 2019. There’s a magical life that awaits you. What will you do? Connect with a Certified Fatherless Daughter Advocate in your area.